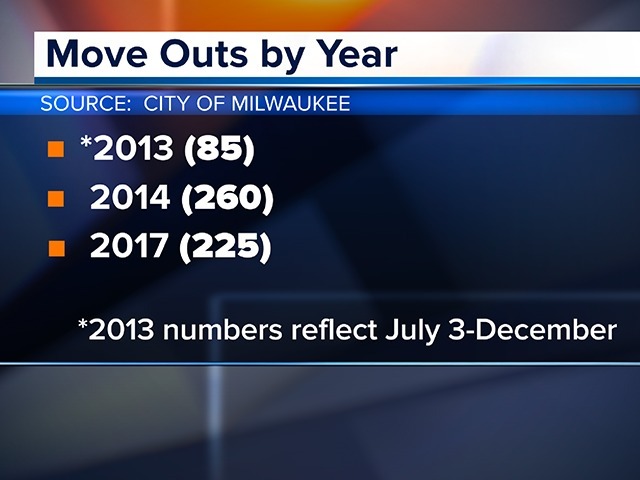 New numbers on how many city employees have moved out of Milwaukee since the law changed more than four years ago. A Milwaukee Alderman calls it troubling for the city, especially with the biggest numbers being in public safety. About 30% of police officers and 35% of firefighters live outside the city. Some of those are in higher ranking spots in those departments. The police union's take on the numbers? Nothing about the bigger picture has changed. 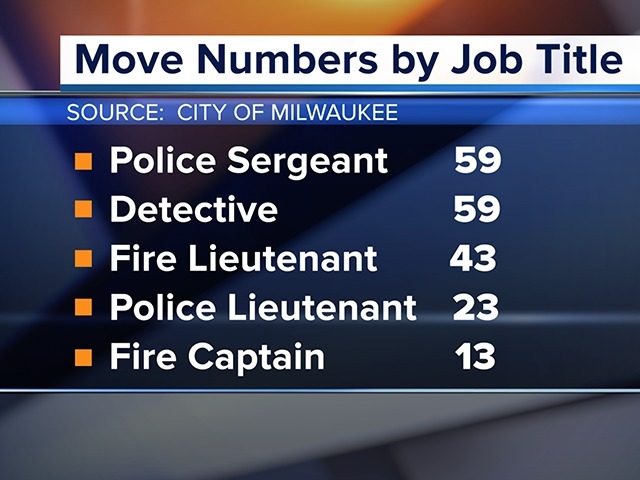 Police officers and firefighters, an integral part of Milwaukee during their shifts and after, but since the rule requiring them to live in the city changed in 2013 there's been a slow trickle out of Milwaukee. A total of 806 officers and firefighters are now living in other communities. Like the MPD officer we talked to for this story. He's newer to the force and lives outside Milwaukee city limits. "I'm content with where I'm at right now," he told us. The officer agreed to talk about the issue if we didn't identify him. He's worried about possible backlash. This officer feels lifting the restriction is a good thing for officers. "It lets officers go live somewhere where they don't always have to be around what they're policing all the time." He also said he doesn't think where he lives affects his ability to do his job or know his district. "I think it makes me more motivated to try to learn it better. Learn the in's and out's." Milwaukee Alderman Cavalier Johnson calls the residency numbers, troubling. 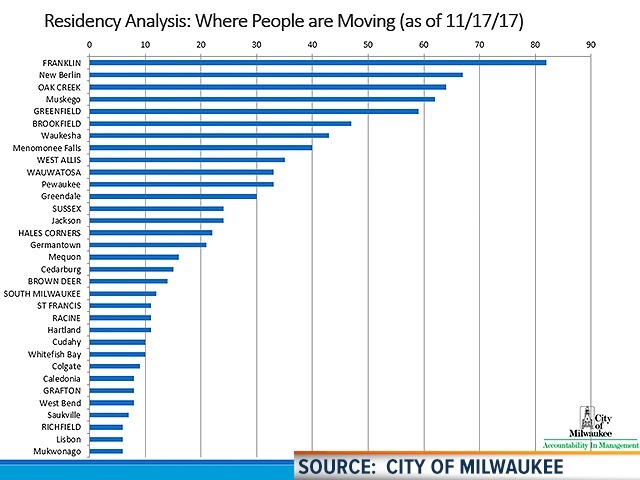 As of mid-November last year almost 1500 of all city employees are now living outside Milwaukee. That's about one out of every four people. Close to 900 of those employees have moved since the residency requirement was lifted, four and a half years ago. Alderman Johnson said he sees it as a trend. State lawmakers did away with strict residency laws in 2013. 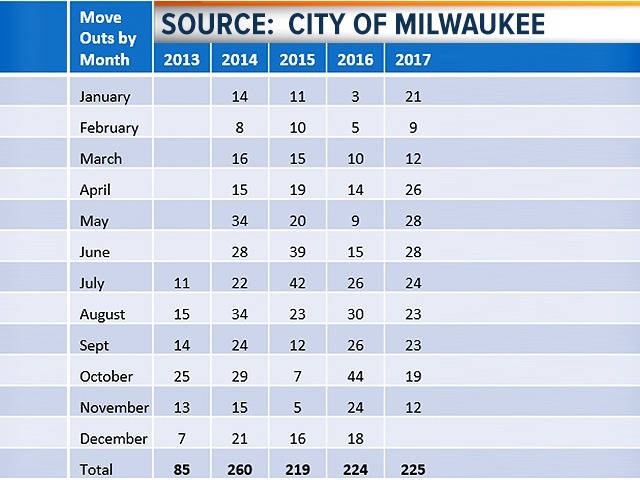 Even though Milwaukee appealed the decision, employees were free to move and 85 did so that year. 2014 was the biggest exodus. 260 employees moved out of the city. Last year, from January to mid-November 225 chose to live in different communities. "You should have some skin in the game here. You should live here." Alderman Johnson feels the city is already losing out especially with the number of police and fire employees settling in other communities. That number includes people in higher ranking positions. "I am under no illusion that we need to do better in certain respects. In order for our community and our city to get better it takes all of us to stand up in order to make it so." Tonight at 10 @tmj4 , a look at what's changed since residency rules were lifted in MKE. Which city employees are moving out? What do you think? Should police officers/firefighters have to live within 15 miles of the city of Milwaukee? President of the Milwaukee Police Association, Mike Crivello, argues officers are already doing that during their shifts. "Everything's ok. Nothing bad has happened because people have moved out," he told us. Crivello's take on the numbers is that 70% of officers still choose to live in Milwaukee, "...while 100% of officers have the freedom to make the choice." Something this officer plans to do, when he eventually buys a house. A decision he said he''ll make based on what's best for his family. "A decent neighborhood. A finished basement with a decent size yard." Where are city employees moving? Franklin, New Berlin and Oak Creek are the top three communities of choice. Even though residency requirements are lifted, there are rules for some employees. The current law requires police, fire and some emergency personnel to live within 15 miles of city.